This pic was taken quite a bit closer to where I currently live than previous pics in this series. Where was I? 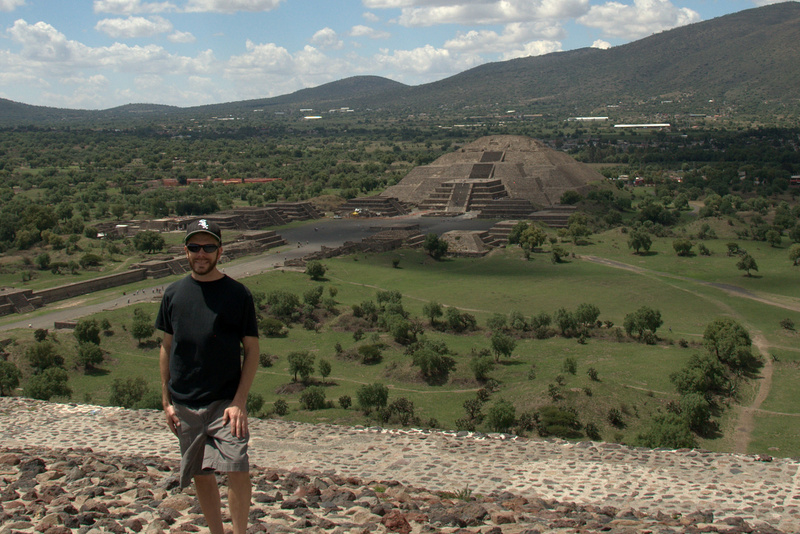 Is it Teotihuacan outside of Mexico City? Loved that place–I’ve been there twice. It is indeed. I too have been there twice. My first visit was years ago, in the fall of the year. The grass had turned brown and you could scramble to the top of the Pyramid of the Moon (the pyramid in the BG of the pic). I returned there recently after several days of rain and the grasses were green but the Pyramid of the Moon was closed for preservation. Went on a weekday and there was hardly anyone around…an awesome experience for such a huge place!